This name uses Hispanic American naming customs. The birth family name is Nevares and the married name is Rosselló. 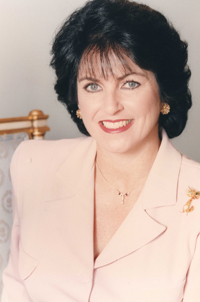 Irma Margarita "Maga" Nevares Padilla is the wife of former Governor of Puerto Rico Pedro Rosselló and mother of the current Governor of Puerto Rico, Ricardo Rosselló. She served as First Lady from 1993 to 2001. Nevares is the daughter of Oscar Nevares-delValle and Irma Padilla. The Nevares direct line goes back to Asturias, Spain. Rosselló married in August 9, 1969. They had three children: Juan Oscar (b. 1971), Luis Roberto (b. 1973), and Ricardo (b. 1979).